Are you looking for a Technical Applications Boiler Engineer job in Poole? 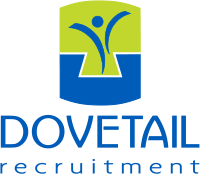 Dovetail Recruitment are currently working with a long standing and very well established client in recruiting for a Technical Engineer based in the office who will provide the customers, sales personnel, and Service Engineers support and assistance in the correct application and use of the company’s product range. This company have a great reputation in their industry, they are thriving in their business and have a long standing staff record. They are still growing and are therefore looking for an addition Technical Engineer to increase their already excellent customer service and technical expertise. This Technical Applications Engineer job in Poole would suit candidates who have previous experience as Field Service Engineers who have strong technical knowledge of heating products, preferably within a commercial environment. If you are interested in this Technical Applications Boiler Engineer job in Poole, please click on ‘Apply Now’. To find out more information, or to see our other positions, please view ‘Similar Roles’. Our team of recruitment consultants have been recruiting for engineering roles in Dorset and Hampshire for many years. Our knowledge of local companies and roles is second to none. If you are looking for a new job in this industry, please get in touch - our specialist team of consultants is here to help. Samantha is our Engineering Recruitment specialist and has built up a great network of people she knows and trusts to find you the best roles in this sector in Dorset & Hampshire. Combining this with her specialist knowledge of the sector - you won’t be in better hands if you’re looking for your first or next move in Engineering or Construction. The roles that Samantha looks after include: Field Service, Mechanical, Electrical or Design Engineer, Maintenance or Project Engineer, Logistics Manager, Warehouse and Transport Manager, Project Manager, Project Surveyor/Quantity Surveyor and Structural Steel Erector. You can view our current roles here. If you don't see a role that you're looking for, please get in touch. We take a proactive approach and will use our knowledge of Dorset and Hampshire's engineering companies to find you the role that you are looking for. Visit the Dovetail Blog for industry articles and Career Skills advice. Our team of recruitment consultants specialise in Technical & Procurement Recruitment for companies across Dorset and Hampshire. We have a detailed understanding of the companies and jobs available in the technical and procurement sector. Samantha is our recruitment specialist in this area and is very dedicated to helping her candidates find the perfect next step on their career ladder. Typical roles include: Materials Managers, Purchasing Managers, Supply Chain jobs, Logistics, Inventory, Buyers jobs, Operations Manager and more. View our current technical and procurement job vacancies. If you're looking for a specific role or career move and don't see a vacancy listed that matches your requirements, please get in touch. We will understand what you are looking for and then take a proactive approach using our local market knowledge, to help you find your perfect new job.